I laughed skeptically and finished my meal, as I watched them continue to dip their watermelon into olive oil. Then my son started adding cucumber to the watermelon on his fork, and dunking both of them in olive oil. “That is what we were telling you,” my husband said. 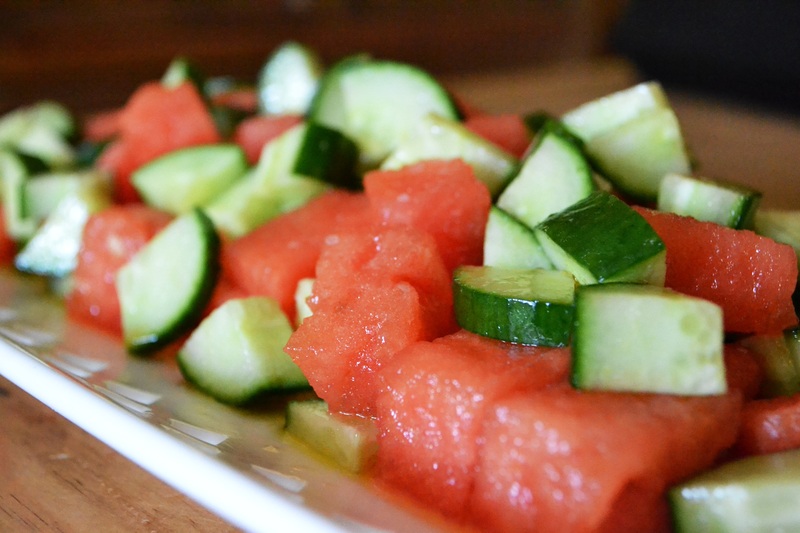 Then I knew that we would have to try this combination again, and the result is this wonderful cucumber watermelon salad. Toss all ingredients together and refrigerate before serving. Add sea salt to taste.